Everything in me wanted to fight for Finn, for my family and friends. But I didn’t know how. She had powers I couldn’t fight against, powers I didn’t understand. Are you ready for spring?! What better way to celebrate than with games, giveaways, books, and swag? Welcome to my stop on the Can’t Wait for Spring Blog Hop! You can find the rest of the stops here. Today, we’re talking about first crushes and second chances! So make sure to read all the way through, because there’s an extra giveaway! We all had that guy… the one that set our heart fluttering every time we caught a glimpse of him. The one that we willingly made a fool of ourselves for, just to get him to notice us. But let’s face it… sometimes it just ain’t happening. And yet, even after a broken heart, he’s the guy we just can’t forget. Other guys may come and go, but he’s always there. We remember and we wonder… what if? Sometimes second chances come along and we have the chance to turn a first crush into something real. But sometimes history gets in the way of that, too many memories of unrequited love and worse. Can you ever really start over? Is it worth it? 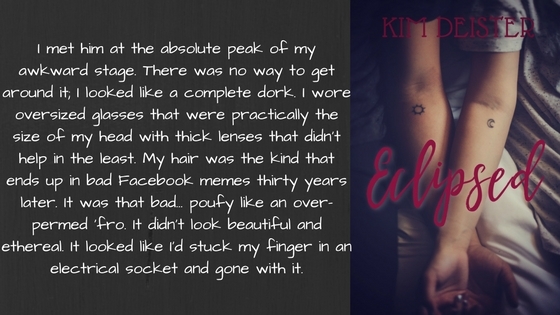 That’s the story of Eclipsed, my newest contemporary romance release. Wanna hear a secret? <whispers>It’s loosely based on my own middle school first crush and the boy that rocked my world. All of the embarrassing things Holly does… all me. Sadly. If any of my friends from middle school and high school read this book, they are going to know exactly who it’s about. If there was something humiliating I could do to get his attention I did it. And it worked… just not the way I intended. There’s a scene in Eclipsed, a chance meeting Holly and Nico have in a bar. That night happened. But then the story takes a different direction from real life. But that one evening? I felt vindicated! 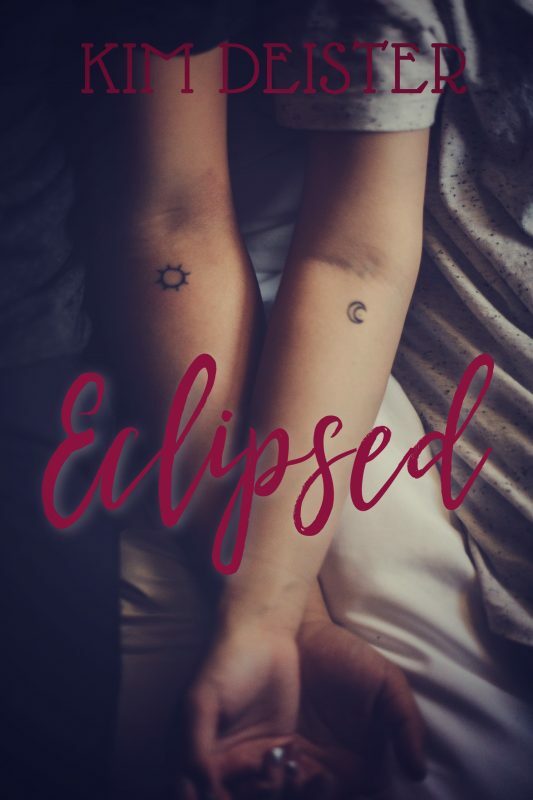 Eclipsed is the ultimate story of what if. What if you get that second chance? What if it’s not what you dreamed of? What if it’s everything you dreamed? Every woman has that guy. He’s the guy that turned her world upside down just by existing. He’s the guy she never forgets, no matter what other guys may come into her life… But sometimes history gets in the way. Can you ever really start over? When Holly met Nico, she was thirteen and she fell head over heels in love. He’s that guy for her, the guy she just can’t get out of her mind. There have been other guys, even guys she loved. But none of them were Nico. None of them made her heart race and the butterflies dance the way he did. But so what? Life wasn’t a romance novel. The girl didn’t always get the guy and Holly knew it. She was living proof of it. So, why was it so damn hard to get him out of her head? How about a little extra giveaway on top of the blog hop giveaway? For a chance to win a $20USD Amazon gift card, tell me your story! Be sure to use your email when you comment so that I can notify you if you’ve won. This giveaway will be open until midnight EST Sunday night! 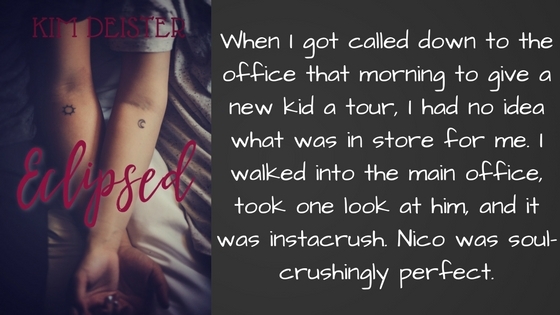 Well, for the blog hop…first crush. For the second, I assume you mean my trials and travails with love. Well…my first crush was technically 14 years older than me–I was 4 lol. I had a crush on a couple of guys that were really good soloists in the choirs/musicals I was in growing up. I got engaged, but not married to my high school sweetheart. And I dated another guy that preferred money and prestige to me. Now I am single. But there was one guy, a friend, who I had a crush on for a long time. Great guy, but things just never seem to have worked out for us in the dating front. Doesn’t keep me from wondering sometimes what if, though. I’m a social butterfly and of course a talker, which means it was worse when I was younger. When I was in high school, I went on a trip with my computer class for a competition and he went for welding (highly supervised). I was bet that I couldn’t stay quiet for a certain amount of time and if I didn’t that meant I didn’t really like my boyfriend. Well not only did I beat the time but they actually had to pay me to start talking again. 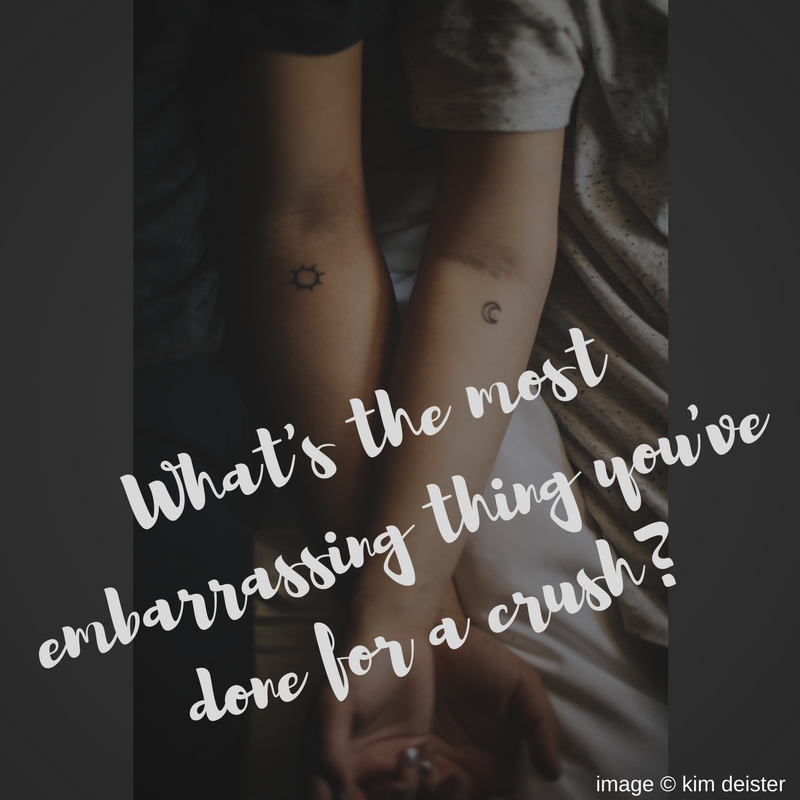 It was embarrassing after because they started telling him that since I went that long he would have to keep me or I’d be a stalker, or he couldn’t get rid of me, just all sorts of mean things. Asked if I already had a tattoo of his name too. They were sore losers they made it weird.